Health Fair Connections | I received a rating or review I feel is unjust or incorrect. Health Fair Connections (HFC) will soon have a way where you can reply to a bad, unjust, rating or review (or any rating and review for that matter). The host will not receive the message (so there will be no exchange), but your response and explanation will show up on your profile when other host companies are reviewing your profile. As you receive more rating and reviews, they will drown out the negative review and move it lower and lower on the list. HFC also allows you to request a rating and review from the health fairs you attended in the past. All you have to do is locate a past health fair where you didn't receive a review and then click "request rating and review." 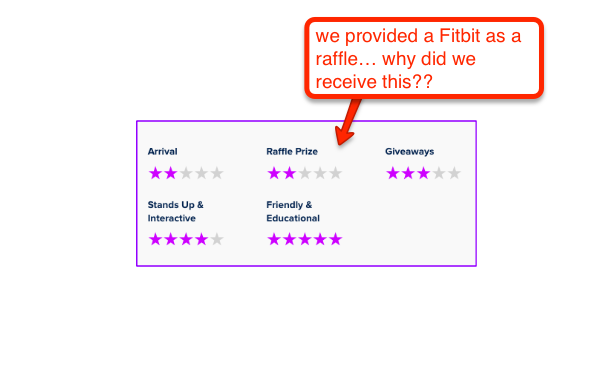 The host will be emailed to rate and review you; the message will also show up inside their health fair dashboard. And hopefully, this won't ever be an issue for you!